With the 74th anniversary of Germany’s unconditional surrender in World War II fast approaching, spare a thought for the nearly 17,000 Jewish men and women who served in Canada’s armed forces and the 450 who laid down their lives for their country. 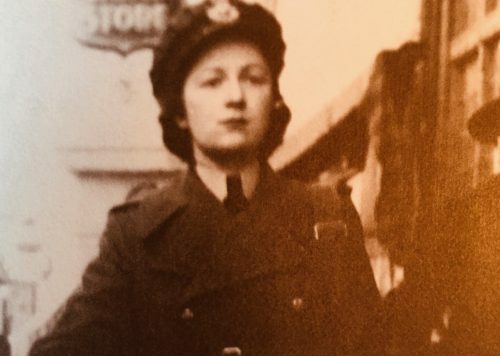 Among the fatalities was Rose Goodman of Montreal, the first female officer in the Royal Canadian Air Force to fall in action. Hailing from New Glasgow, Nova Scotia, shes was killed in January 1943. I gleaned these facts from Ellin Bessner’s first-rate book, Double Threat: Canadian Jews, the Military, and World War II (New Jewish Press), the definitive account of the Jewish contribution to Canada’s war effort. Not surprisingly, King omitted something of importance in his letter — the endemic antisemitism that dogged Jews in Canada and even tormented them in the barracks and on the battlefield. “They lived in a country where some companies would not hire Jews, where there were quotas limiting the number of Jews enrolled in some university faculties, and where Jews were restricted from joining some private clubs,” writes Bessner. Such was the situation that French Canadian Catholic interns at Montreal’s Notre-Dame Hospital went on strike in 1934 because they refused to work with a Jewish doctor. And as she adds, Canadian immigration policy was definitely tilted against Jews: “Canada’s government was turning away thousands of Jewish refugees trying to outrun Europe’s repressive racial laws.” Between 1933 and 1945, Canada admitted only 5,000 such refugees, as Irving Abella and Harold Troper wrote in their classic account, None Is Too Many. Despite all this, Canada’s declaration of war against Germany in September 1939 galvanized the 165,000-strong Canadian Jewish community, which proceeded to launch a massive mobilization effort. Leading the charge was Congress’ president, Samuel Bronfman, a Montreal millionaire in the distillery business. 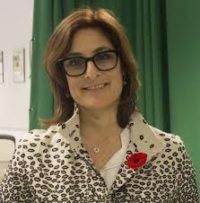 While Jewish Canadians comprised 1.5 percent of the Canadian population in 1940, Jews provided 2.6 percent of Canada’s airmen, 1.4 percent of its soldiers and 0.7 percent of its sailors. Yet, even as Jews enrolled in the army, navy and air force (which, until 1942, required its officers to be white and of pure European descent), they discovered that certain branches of the armed forces, especially the navy, were reluctant to accept Jewish personnel, particularly in the first few years of the war. According to Bessner, antisemitism was rampant in the navy because many of its officers were drawn from exclusive Anglo yachting circles heavily tinged with racism. To add insult to injury, antisemites claimed that Jews were not pulling their weight. Possibly as a result of this calumny, the Canadian Jewish Congress compiled a list of Jews in the Canadian forces and encouraged Jewish enlistment. 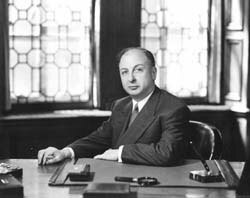 In Toronto, for example, Rabbi David Monson was dispatched on a recruiting campaign, while Jewish newspapers published editorials urging Jewish boys to sign up. “We must do more than our share, more than is expected of us,” thundered the founder of the Jewish Daily Eagle, Hirsch Wolofsky. In Double Threat, Bessner tells the stories of the Jewish men and women who answered the call either abroad or on the home front. The majority of Canadian fighting men did not see combat until the 1943 Allied invasion of Sicily. But in 1941, Canada sent almost 2,000 troops from the Winnipeg Grenadiers and the Royal Rifles to shore up the besieged British garrison in Hong Kong girding for a Japanese invasion. Among them were Jacob Rose and Louis Brown, who were taken captive and transported to Japan as slave laborers. Thirty Jews took part in the ill-fated 1942 raid on Dieppe, the largest amphibious landing undertaken in the war until then. Eleven were killed, four seriously injured and eight captured. Upwards of 6,000 Jewish men enrolled in the air force, including Sydney Shulemson — the war’s most highly decorated Jewish serviceman — Monty Berger and Edmond Fleishman. Maurice Lipton became a wing commander and would ultimately run air training in Canada. Fewer than 600 Jews served in the Royal Canadian Navy, most of whose officers were British-trained sailors. Ed Ryan, the son of an immigrant grocer from Belarus, would become the highest-ranking Jew in the navy, attaining the rank of commander. Naval service was dangerous. “In the North Atlantic, if you hit the water, you had six or seven minutes to live,” says sailor Israel Glassman. 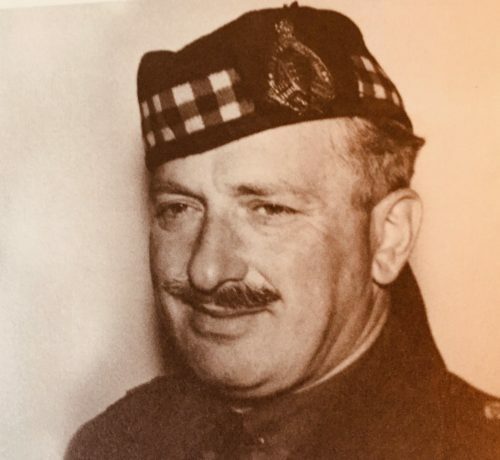 The highest-ranking Jew in the Canadian army, Major General Robert Rothschild, possibly the first Jewish cadet to graduate from the Royal Military College in Kingston, Ontario, rose from the ranks as a lieutenant. Yet antisemitism was a persistent problem. David Croll, the mayor of Windsor, enlisted as a private in 1939 and faced antisemitic taunts. 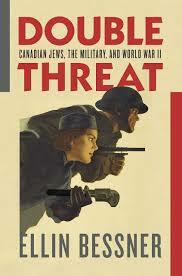 Of the close to 300 veterans Bessner interviewed, most experienced the sting of antisemitism. Since prejudice was so commonplace, the War Efforts Committee of the Canadian Jewish Congress issued three Jewish War Heroes comics between 1944 and 1945 highlighting the heroism of Jewish servicemen. 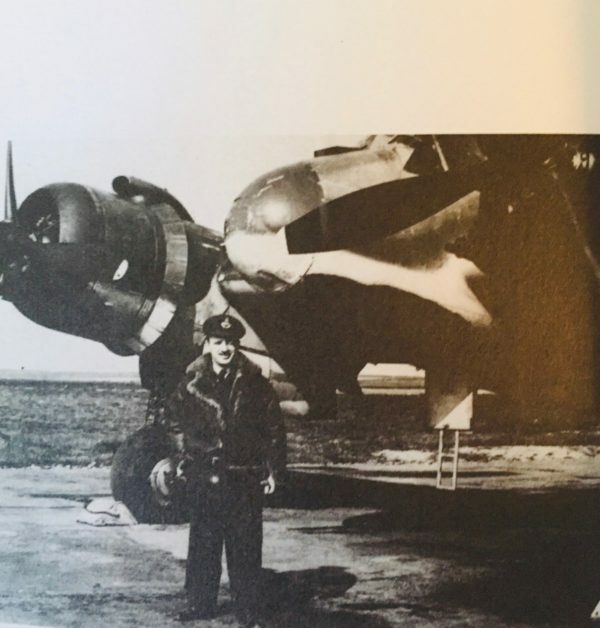 One of them, the pilot and squadron leader Alfred Brenner of Toronto, was credited with destroying a 5,000-ton German merchant marine ship off the coast of Holland in 1943. A fourth comic book in the series would have been devoted to Samuel Moses (Moe) Hurwitz of Lachine, Quebec, who was cited for gallantry in France, Belgium and Holland in 1944. 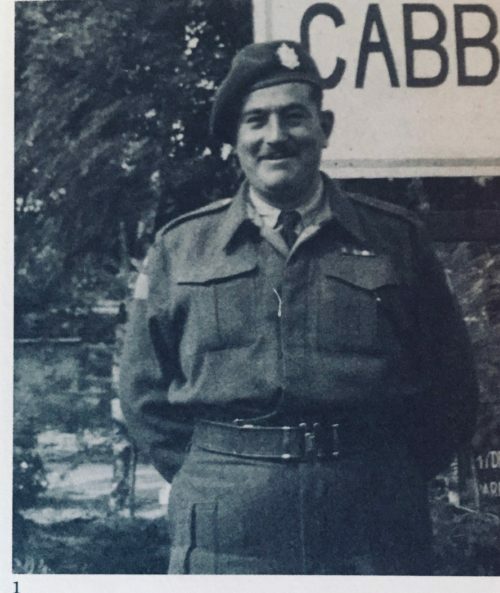 The recipient of the Distinguished Conduct Medal, which is just one below the exalted Victoria Cross, he was the most highly-decorated non-commissioned Jewish soldier to serve in the armored corps. As Allied forces battered the Germans in the closing stages of the war, Jewish troops stumbled upon synagogues that had been desecrated by the Nazis and met survivors in concentration camps. Bessner reminds a reader that the Canadian army liberated Westerbork, the Nazi transit camp in Holland, on April 12, 1945. With the end of hostilities, Jewish prisoners of war were released. Peter Gaum, an air force pilot, survived thanks to a sympathetic German camp guard. It would take months for the majority of Jewish POWs in Japan to be repatriated. Many demobilized Jewish veterans took advantage of postwar scholarships to resume their education. A handful remained in the military, including Albert Mendelsohn of Ste.-Agathe-des Monts, a popular resort in the Laurentian mountains, north of Montreal, favored by Jewish vacationers. Mendelsohn remained in the army for three decades after the war and rose to the rank of brigadier-general. 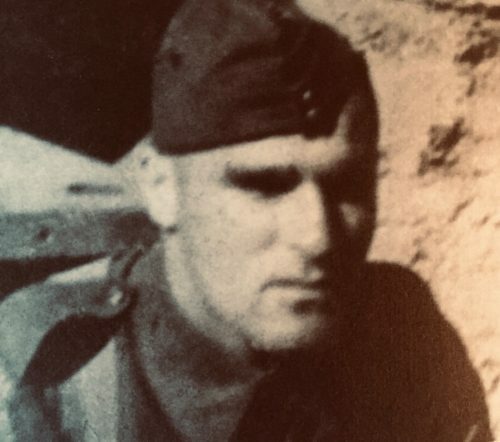 Still other veterans, almost 300 by Bessner’s estimate, volunteered to serve in the fledging Israeli armed forces during the 1948 War of Independence. One such veteran, Ben Dunkelman of Toronto, commanded the 7th Armored Brigade, which captured parts of the Galilee. On orders from superiors, he refused to expel the Arab residents of Nazareth. Veterans returning to Canada were shocked that some antisemitic restrictions were still in place with respect to land ownership and access to jobs. Several years would elapse before anti-discrimination legislation, endorsed by the Jewish community, labor unions and human rights organizations, went into effect. The Calgary lawyer Morris Shumiatcher, a veteran who would work for Saskatchewan’s progressive premier Tommy Douglas, is said to have drafted Canada’s first bill of rights in 1947.